I am doing my week in pictures a little different today. I don't know if its just me but for the past few years i haven't printed any pictures out at all.i mean after all i have a hard drive that they are all saved on right? But then i started seeing polaroid pictures and they looked really cute and cool . I have wanted a polaroid camera for so long but i just couldn't justify the expense so i made without. 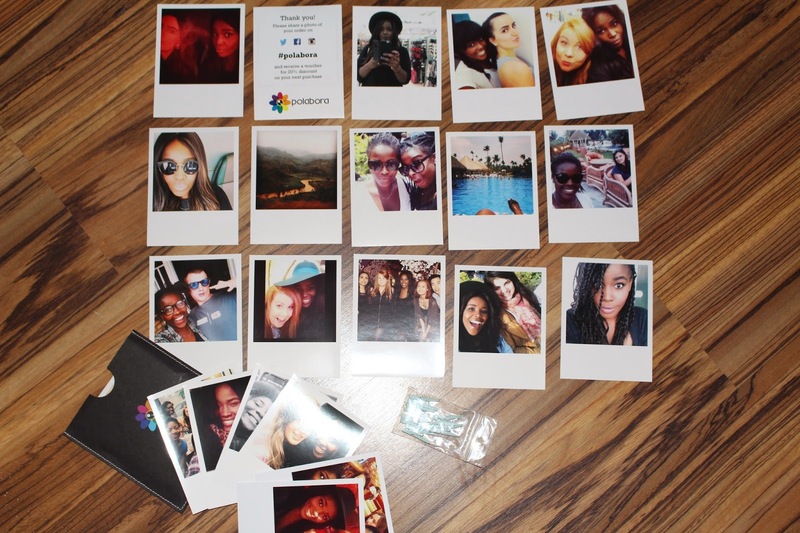 Now though i can have my Polaroid pictures without paying the outrages prices thanks to Polabora. Polabora is awesome and really cheap as well. I only paid 19 euros which worked out to be about £15 for 40 pictures. How insane is that? They came really fast as well and its free shipping world wide. The best thing is how they come packaged. The packaging is really cute and they even give you some mini pegs to hang up you pictures. I can't wait to hang mine up on my wall. I got in touch the two lovely guys who run it and told them i was going to do a blog post and they kindly offered me a 20% off code for you guys. The pictures are cheap already but with 20% off ,i myself will have to order some new ones. To use the 20% all you have to do is type in ISSIE2014. It will be valid until 30/11/2014. I would love it if you could take a pictures of the pictures you buy and just #issiepolabora so i can have a nose around.